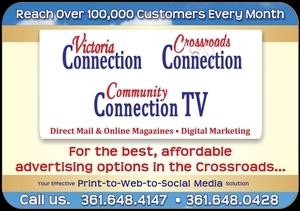 When you're ready to reach 1,000 of customers...tell your community about your important event and get the attention of thousands of your neighbors in the Victoria and Crossroads area, call Community Connection TV. 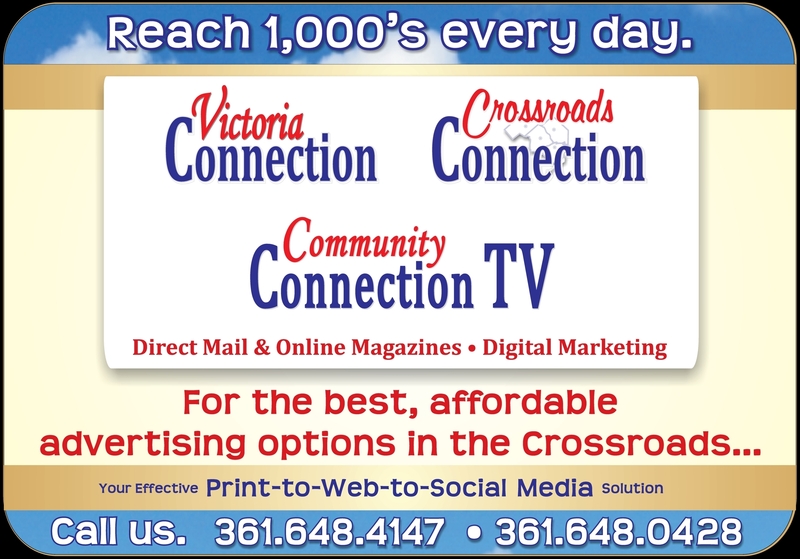 Advertise effectively, affordably by presenting your important message on Community Connection Television; presenting community support and the quality products and services of local businesses everyday. The low cost, big return, advertising alternative that fits the budgets of small businesses and local organizations. Call now: 361.648.4147 or 361.648.0428.